The NFU and NFU Cymru has relaunched its Fodder Bank as a free online service to locate cattle feed and animal bedding following a tough few months of weather. 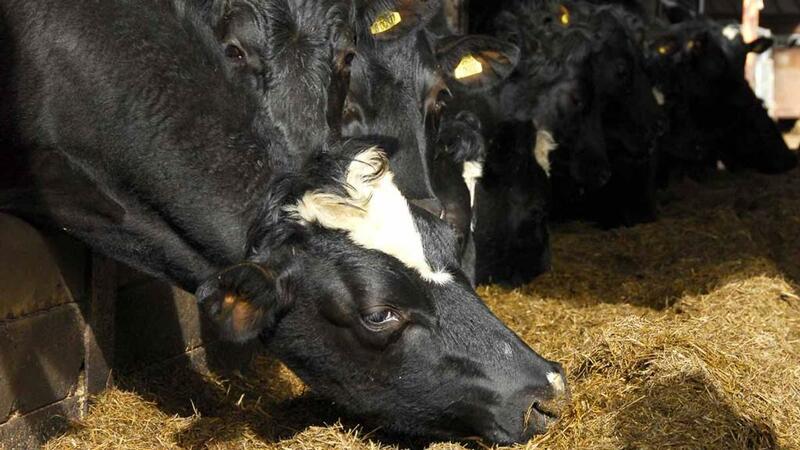 Shortages of feed availability has bumped up prices with many dairy and livestock producers unable to turn out stock due to lack of grass growth and available forage. Farmers with overflow have been encouraged to sell any surplus. Minette Batters, NFU president, said: “During this particularly difficult time for many farmers, it is vital that government lends its support to ensure farmers are able to continue managing their businesses effectively, which means producing the food that feeds the nation. It comes as NFU Scotland met with Emma Harper MSP on Tuesday (April 10) to call for financial help from the Scottish government. NFUS president Andrew McCornick highlighted what he called an ’urgent need’ for regular payments to be brought forward to help with added costs of the long winter, financial assistance with fallen stock costs and an assistance package to be made available as soon as possible. He said many livestock and dairy farmers had been seriously hit by high fodder costs as a result of poor weather last Autumn and made worse by a ‘long hard winter’. “This has been an extremely tough winter for many, starting off on the wrong foot with the poor harvest and continuing on with some of the worst snow spells we have seen in quite a few years,” Mr McCornick said. “We have heard from our members that many are seeing a steep increase in the amount of fallen stock they are having to pay to be collected. The NFU’s Fodder Bank can be accessed here.